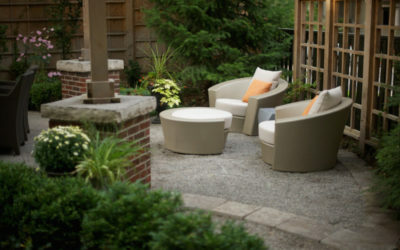 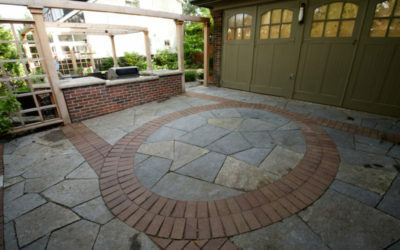 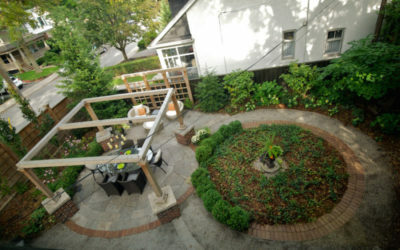 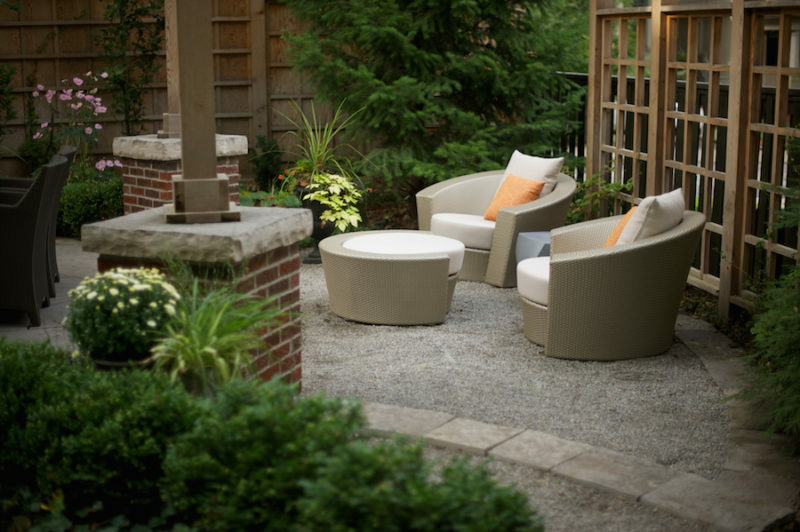 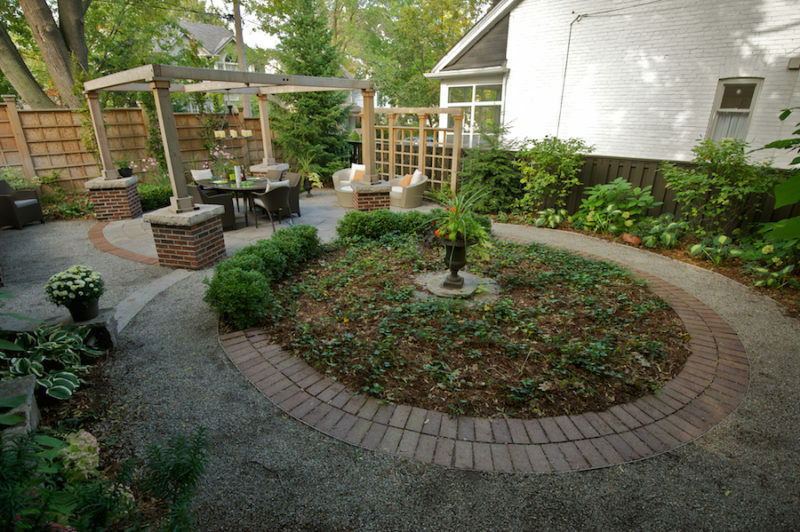 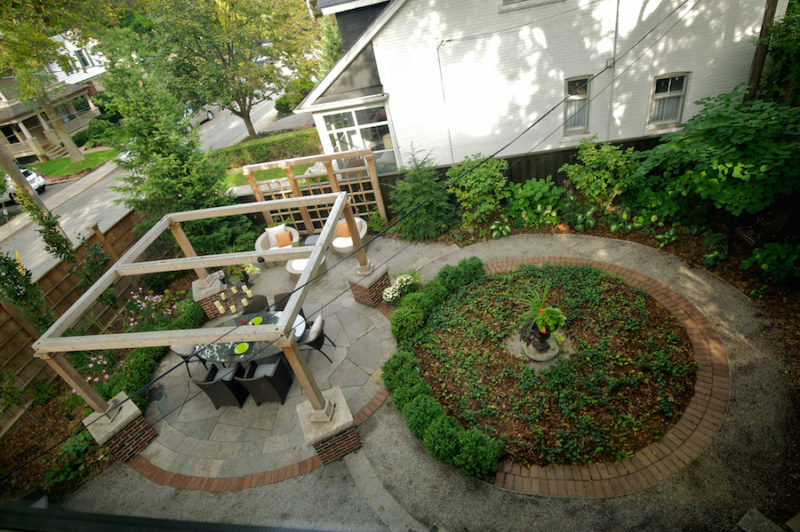 We helped the owners of this corner lot on a busy street create a private entertaining space. 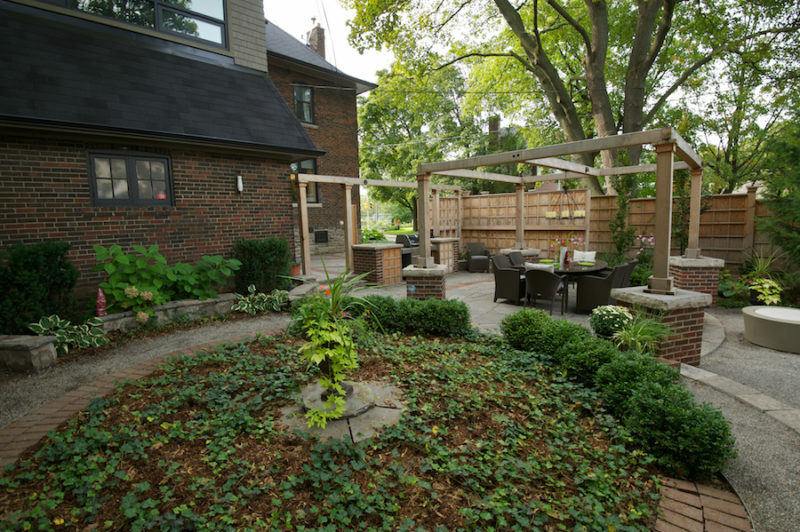 Instead of using stock brick, which would have clashed with the 100-year-old house, we sourced matching brick to build the plinths and barbecue servery. 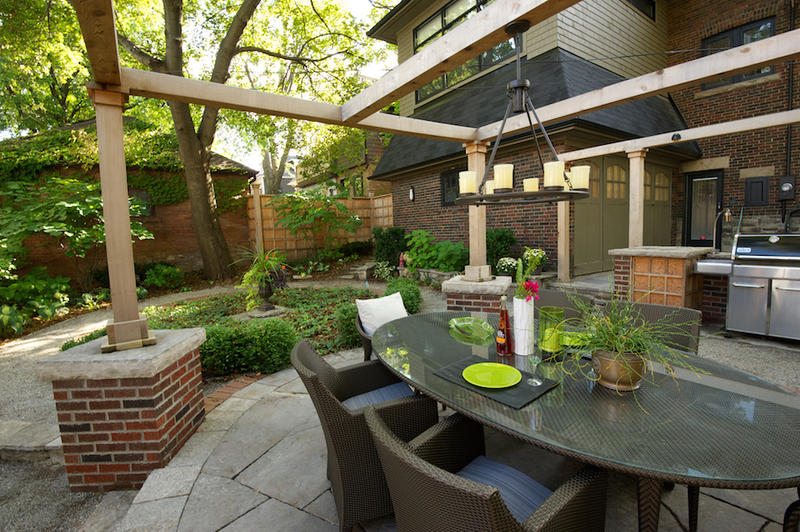 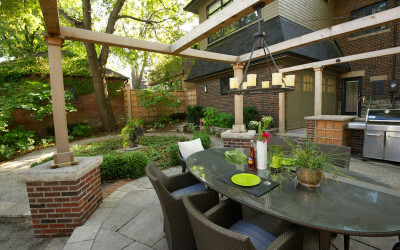 A pergola defines the dining area, surrounded by custom privacy screens. 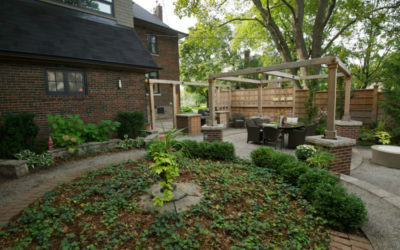 Instead of investing in a new fence, we stained one that was structurally sound but looking tired and stained it dark so it disappears visually.